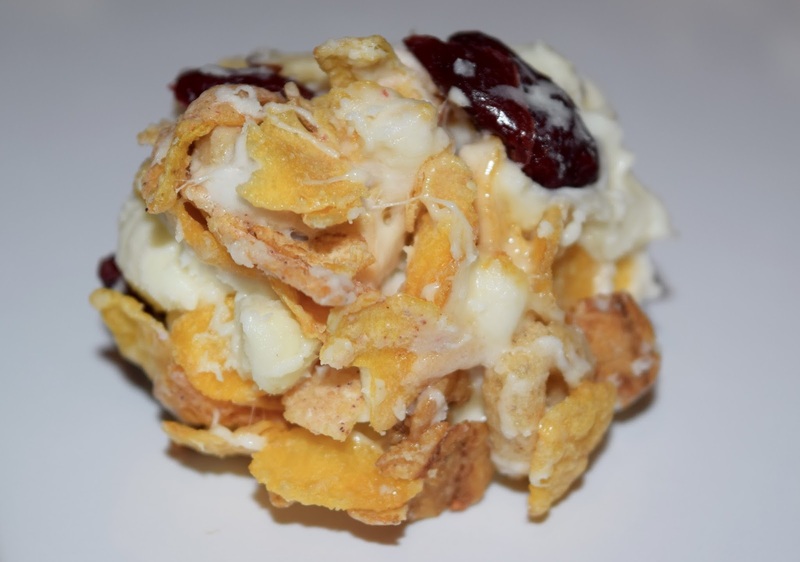 Since I am a big cereal lover and a notorious snacker, I decided to combine the two! 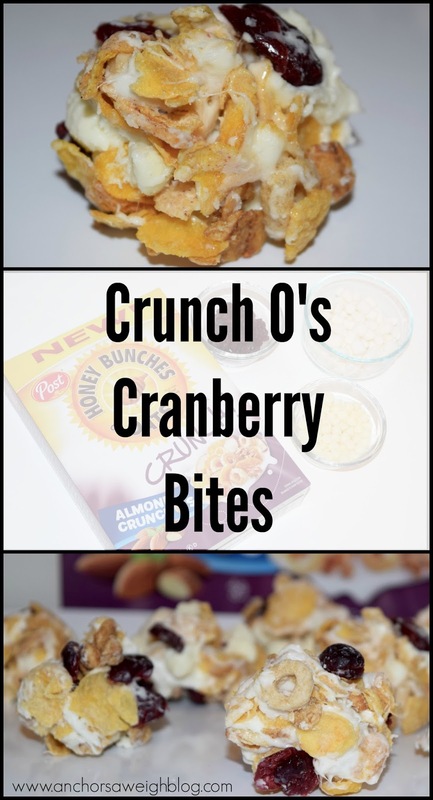 Cereal isn't just for breakfast anymore, and I have been devouring these Crunch O's Cranberry Bites around the clock! 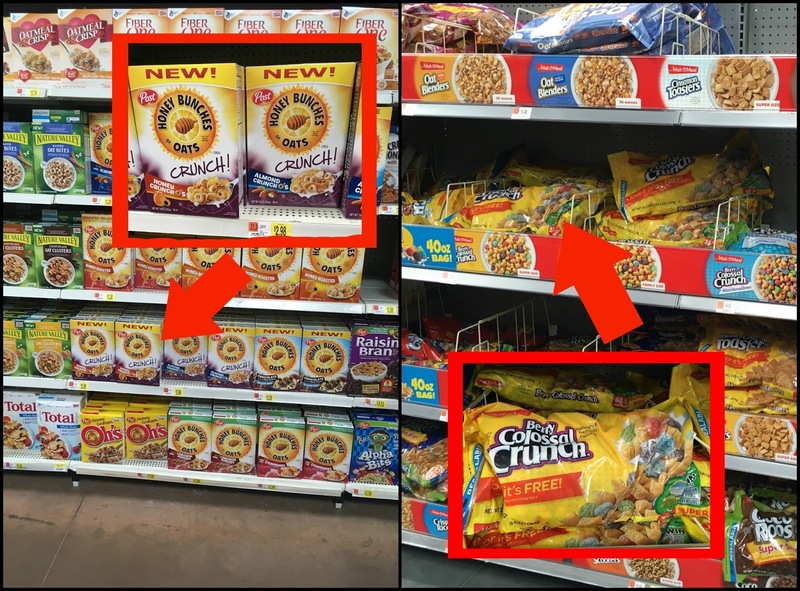 I picked up 2 new cereals at Walmart the other day: Honey Bunches of Oats Crunch O's and Berry Colossal Crunch cereal. I also eyed the new Kung Fu Panda Po Power Crunch because we all love the panda! 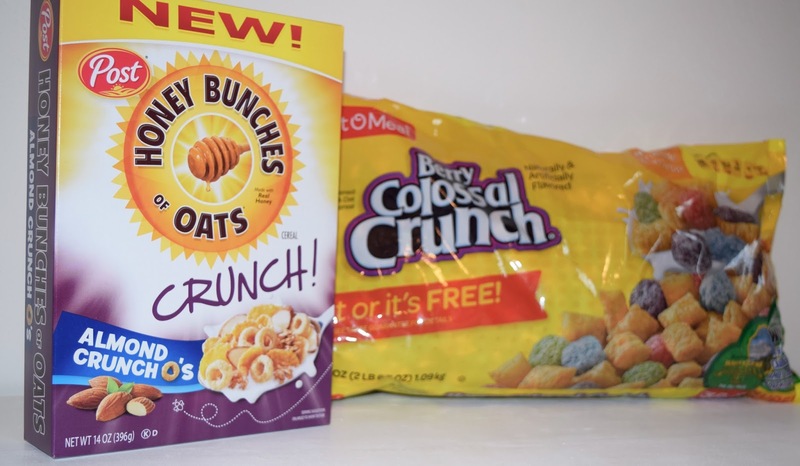 Both added a fun variety to my ever growing cereal collection, and I was especially excited to try Honey Bunches of Oats Crunch O's. 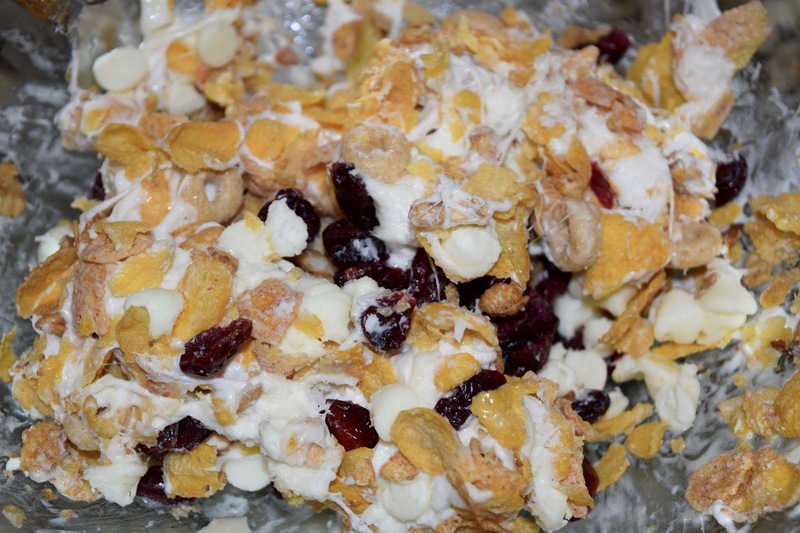 We are big Honey Bunches of Oats fans in our house and have tried every flavor at one point or another. The Crunch O's are new, so naturally they had to come home with me! 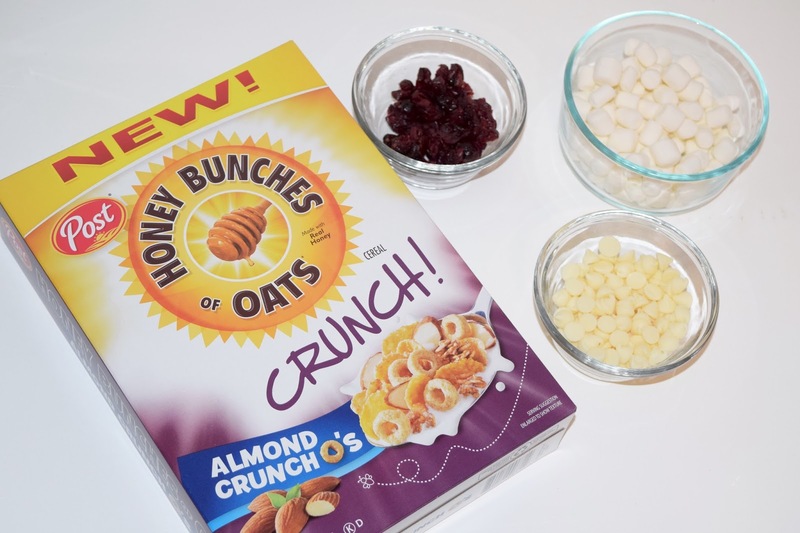 Since cereal is so great for snacking, I decided to whip up a new snack inspired by the new Crunch O's. 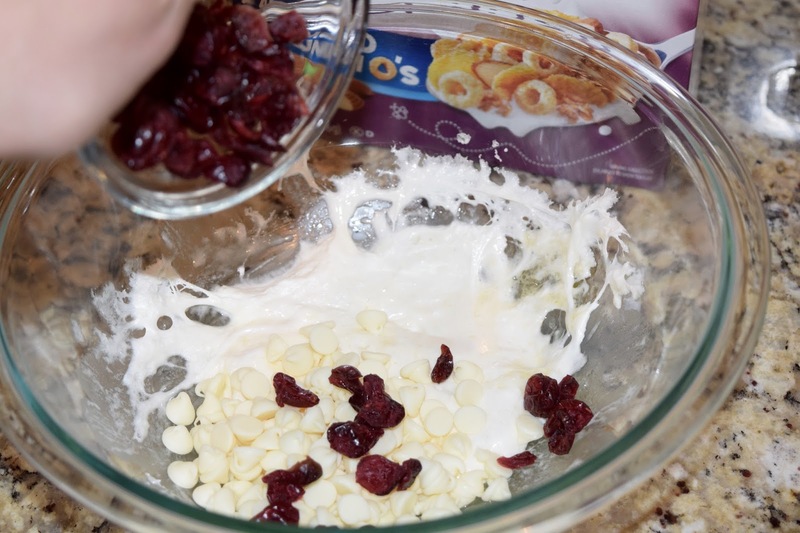 I am calling them Crunch O's Cranberry Bites and challenge you to eat just one! 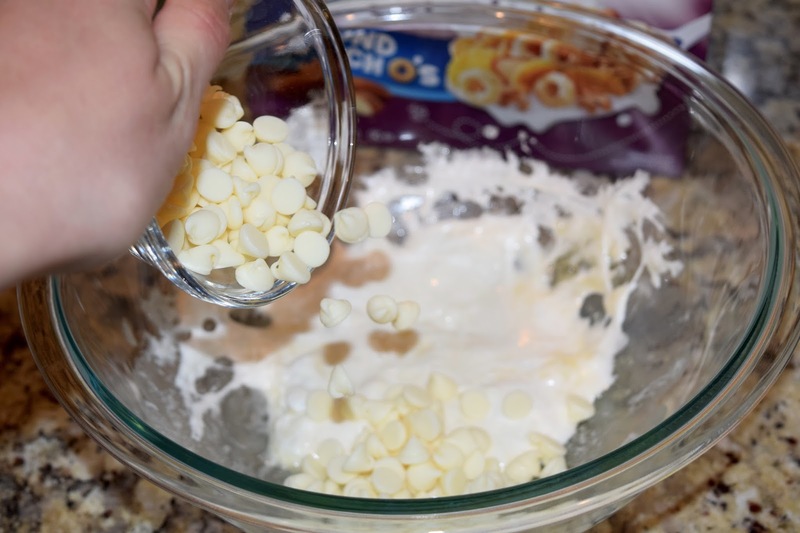 They were so quick and easy to prepare, which is always a win in my book. 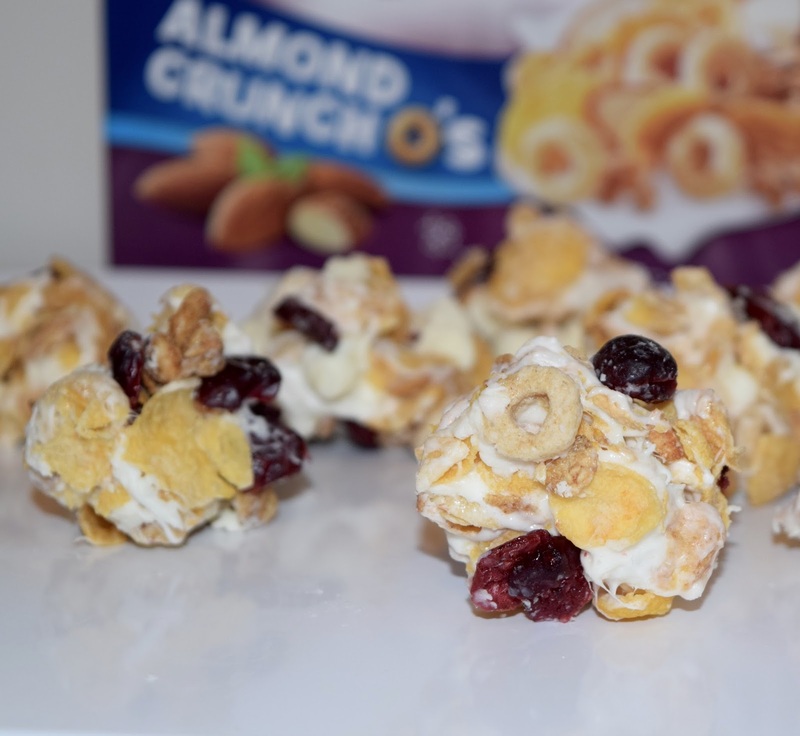 If you have time to pour a bowl of cereal, you have time to make these! Shape into 1-inch balls and place on a plate to harden. That's it! Eat and enjoy! Do you have a cereal obsession like me?